Technically referred as Computer Vision Syndrome (CVS), computer eye strain delineates a temporary condition that occurs as a result of prolonged focusing on a computer screen. There was a time when computer was not known to majority of people. But, at present, every person, from grandmother to kids, uses computer as an essential part of life. Although computers play a vital role in raising the productivity level but it is also one of the major causes of eye strain. Another common problem faced by computer users. The underlying reason is that our eyes are not deigned to gaze at books or flat screens continuously. Moreover, use of computers demands a fix focus to be maintained by the eyes at an alignment of 20” for long durations. The eyes are rather designed to change the focus constantly. Changes have, however, occurred through technology and evolution. While working on a computer or reading a book, we fix our eyes at a distance to lock them in a close range thus leading to myopia or near sightedness. Additionally, this continuous focusing also contributes to headaches, blurred vision, eye strain, fatigue, and sleepiness. All these are the symptoms of strained eyes. One of the major causes of computer strain is the glare coming from the computer screen. It is, therefore, better to place the device in a way that the screen top is directly below the seeing position. Ergonomically unfit set up: The comfort level varies for every individual. The position of your monitor and keyboard may contribute to computer eye strain. Distance from the monitor: The ideal distance to be maintained between your eyes and the monitor is 60cm at least. Sitting and working close to the computer also contributes to be a major cause of computer eye strain. Concentration: While working online, the eyes concentrate on the various words being typed and the various sentences being read. This concentration level may lead to blurred vision when the eyes start getting tired. This further contributes to computer eye strain. Improper lighting plus screen brightness: Have you ever noticed that our eyes begin to hurt, water, and close down when we stare at the sun? The underlying reason is that the light from the sun is just too strong for the eyes that it can cause eye strain. Same is the case with your computer monitor and the lighting environment in your office. If the lighting scheme of your monitor is excessively brighter than your office lighting, you may become a victim to computer eye strain. Tiresomeness of staring: Every time you stare at a computer monitor while working online, the eyes are just small muscles to take the load. You may not, however, realize that the eyes are getting strained through the continuous hard work being done by your eyes. This unnoticed computer eye strain makes it important for you to know about the symptoms of computer eye strain. Besides causing the small but annoying problems, computer eye strain also affects the efficiency of work. Furthermore, computer eye strain may also cause more serious health complications. Eye strain, therefore, implies overworked and tired eyes which result in reduced focusing ability and improper vision as well. It is not as difficult to treat computer eye strain as the problem seems to be. The simplest way to treat the problem is following some exercise techniques that can be done at home or even in the office. For those who are not able to complete the exercise program at home can go for individualized exercise programs. Additionally, the screen resolution of your computer also contributes to computer eye strain. Therefore, it is very important for the screen resolution to be proper. 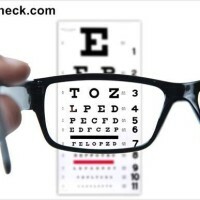 Smaller pixels make it easier for your eyes to focus accurately. The modern monitors featuring flat screen proffer a resolution that aptly suits your eyes. Moreover, they also do not call for anti-glare screen. 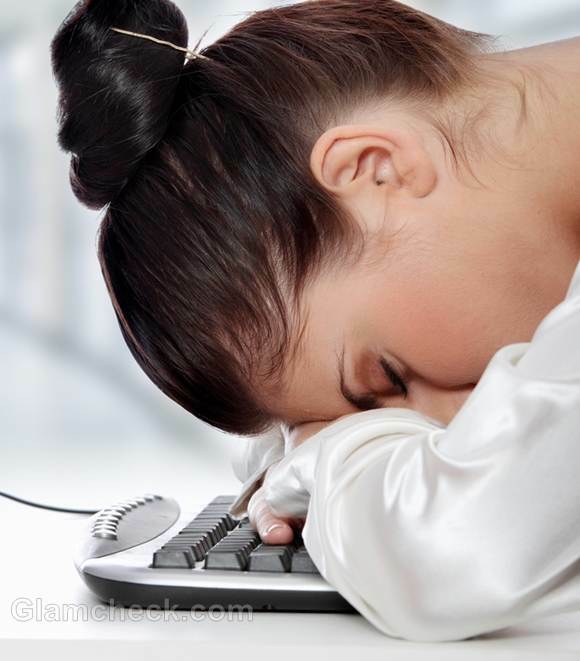 There are numerous factors contributing to computer eye strain. The air existing in the office milieu is dry which causes computer eye strain and dry eyes. Adding more to the fact, constant use of computer leads to lesser blinking of eyes than what normally should be. To add to your knowledge, blinking of eyes is the most natural recipe for eyes’ moisture. Overhead lighting or bright light emitting from behind the monitor can strain the eyes. One good option is using table lamps on either sides of the working area. The monitor emits its own light which calls for only some indirect light required for the work. Secondly, if you are working close to a window, adjust or close the blinds so as to avoid direct sunlight from falling onto the monitor. Furthermore, avoid working on computer in a dark room. This is because working on computer in a dark room would make your eyes struggle with the extremes of dark and light. If, in any case, you have to work in dark conditions, do it with dim monitor brightness. This would help you work comfortably in the dark for an hour at least but after that your eyes will surely feel strained. Most importantly, if you really want to reduce computer eye strain ensure investing in good lighting system for your home and office. Go for good quality lights which in addition to throwing quality light also work on reducing the glare. Move away from your computer for a few minutes. Taking a break after every hour can prove helpful. However, if you are not able to leave your desk, you can always lean back to close the eyes and relax. Divide strenuous job tasks into different segments instead of working in the form of long computer sessions. The eyes take strain in reading small font. It is, therefore, advisable to keep the font large to give a break to the eyes. While working online or in text editors, use keyboard shortcuts to enlarge the fonts as required. As concerned with text on webpage which seem to be too small to be read without strain, you can use a text editor to read it easily. Adding further, enlarge the font to a size that can be read comfortably. Remember, if you still need to squint the eyes or move your head closer to the screen while working, it means that the font is still small for the eyes. Another cause for computer eye strain includes intense online reading on the computer monitor. It reduces the productivity in addition to putting strain on the eyes. While reading a long document or article, take a print out of it and read it comfortably in proper lighting. However, another way of reducing online reading is through scanning and purposeful web surfing. Unlike computer, you are not a machine that can work non-stop for hours and hours. 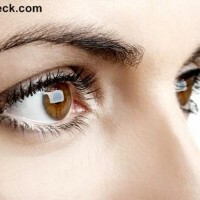 Your eyes need frequent breaks to take rest and get recharged. It is quite easy to follow the 20-20 rule. Take a break of 20 seconds after every 20minutes. This way, you take your eyes off the computer to look onto an object placed at a distance of about 20ft. However, if you don’t want to show that you are not working, you can take short and frequent trips to the water cooler or the rest room to give a break to your eyes. While working on the computer screen, it is but natural to blink the eyes less frequently. This leads to lack of natural lubrication to the eyes thus leading to redness and dryness. In order to lessen this effect, place your monitor below the level of your eyes. This way, the eyes would not be required to be opened wide to read properly. Adding further, taking frequent breaks may also prove helpful. During breaks, avoid concentrating hard on the work for this might hinder the normal blinking process as existing in a relaxed condition. Even though work holds its own importance, it is equally important to stay relaxed so that stress and tension do not harm your eyes. Therefore, it is wise to take short and frequent breaks during the work. You can also take a long break either once or twice during the work so as to get the mind away from workload. Try doing neck rolls, arm swings, or shoulder shrugs to stretch the muscles of your shoulders and neck while at your office desk. One good way to release tension from your head is through rubbing your temples. Another way to rest your eyes is providing them with darkness phases. This can be done by either cupping them with palms or simply closing them for a while. Another important cause leading to computer eye strain is improper lighting. The eyes get irritated because of over exposure to excessive lighting. Similarly, less than normal lighting leads to eye strain while reading or working. However, there are many ways to adjust the lighting so as to find the best suited lighting for your eyes. Adjust the contrast and brightness of the monitor to a balance that makes it comfortable for your eyes to read and work without strain. It is also important to check that the desktop as well as the color scheme are not straining the eyes. It is, therefore, advisable to go for dark colors and neutral tones featuring proper band for comfortable contrast balance. Fix your focus on the nose tip without blinking the eyes. Hold this position for as long as possible. Then, close your eyes to relax. Fix your focus on the ‘third eye’. Remember not to blink your eyes. The third eye features the area between your eyebrows. Hold the position for as long as you can. Then close the eyes to relax. You may find it uncomfortable while doing for the first time, but do not get frustrated. Maintain your focus and with repetitions you would find it much easier to do. Gaze at your left shoulder without moving your head. Hold the posture for some minutes. Then close the eyes to relax. Repeat this exercise using your right shoulder. This exercise is helpful in relaxing the eyes. Lie down with the back faced upward. Position your palms such that they face the ceiling and the legs positioned approximately at the distance as much as your shoulders. While doing this exercise in your office, do it while sitting comfortably in the chair. Then close your eyes and breathe into the belly and feel it expand o getting filled with air. Follow this exercise for some minutes and then open the eyes. Have a look at any object in front of the eyes. Again, close the eyes and continue to see that object. In addition to relaxing the eyes this exercise also helps balance mental focus along with imagination. This exercise helps in relieving computer eye strain. Lie down with the back faced upward. Position your palms such that they face the ceiling and the legs positioned approximately at the distance as much as your shoulders. While doing this exercise in your office, do it while sitting comfortably in the chair. Then, close the eyes and position the palms onto the closed eyes. Follow this by breathing into the belly and feel it expand on getting filled with air. Continue with this exercise for some minutes. Then open the eyes and look at some other object keeping your mind empty. Avoid getting attached to it or staring at it. This would help you focus without any kind of strain or depletion to the eyes. Sit comfortably at the chair’s edge keeping your back straight. Then close your eyes and put your palms over the eyes to warm them with the same. Take your hands off your eyes but keep your eyes closed. Take a deep breath through the nose. Exhale the breath and allow your head to drop forward. Then rotate it sideways. Follow this by waving the shoulders in a way to make forward and backward circles. Keep your eyes tightly closed and lift your shoulders tightly for maximum possible time. Hold the position for some seconds and then release, leaving the shoulders and opening the eyes at once. Repeat this exercise for as many times as possible. Go for repeated blinking by fluttering the eyelids till the time eye get moist. Repeat the process again and again. Breathing normally, gaze at an object placed at a distance for about 30seconds. Try maintaining this focus and then blink rapidly. Then gaze at an object placed comparatively nearby. Hold the position for a few seconds and again blink rapidly. This is an exercise projected to aid counteract the squint tendency. Keep your eyes half closed and look upwards while exhaling. This is an exercise that instigates the extrinsic muscles involved in the movement of the eyes. Try keeping your head straight in line with the spine. Hold every position mentioned above for some seconds and return the eyes to the center position while inhaling. Again, keeping your head straight, gaze at an object. Then exhale looking towards both sides without moving your head. Now try exhaling and turn the head sideways repeatedly to allow the eyes follow your head movement. Follow this movement by turning the upper body sideways and allowing the eyes to follow. Then, position your palms over the yes to make them warm. Remove the palms and open your eyes when you feel relieved from the strain. Computer eye strain is not a visual disorder. It is, instead, a condition that keeps you from doing the work efficiently. Follow these easy tips and exercises to relieve the eyes from computer strain and perform your job tasks more easily and efficiently. Take care and stay healthy!